Just moments ago, Bob Chapek, Chairman of Walt Disney Parks & Resorts, revealed the official name of the Star Wars-inspired lands that are currently under construction at the Disneyland and Walt Disney World Resorts, and shared details on the immersive experiences guests will be able to enjoy when the lands open in 2019. 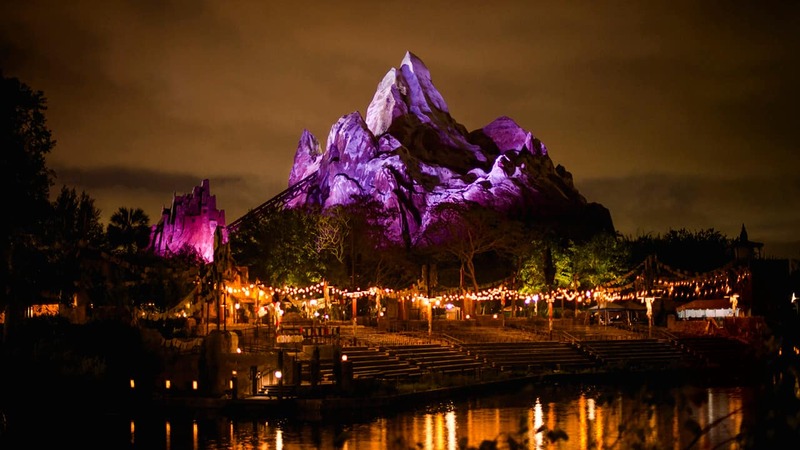 The lands, both called Star Wars: Galaxy’s Edge, will allow guests to visit a remote trading port on the edge of wild space, where Star Wars characters and their stories come to life – and where guests will find themselves in the middle of the action. 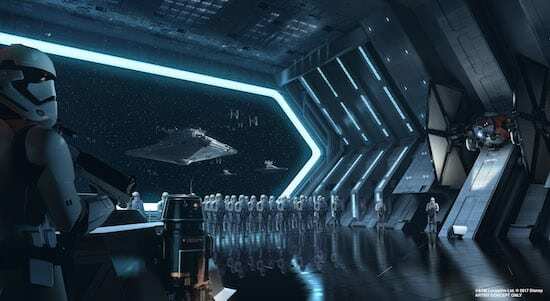 The lands will feature two major attractions that put guests in the middle of a battle between the First Order and the Resistance. Each attraction – and even the land itself – will offer guests the chance to immerse themselves in the Star Wars universe like never before. One attraction will make you feel like you’re on a Star Destroyer inside a hangar bay. It’s an attraction built on a scale we’ve never done before. 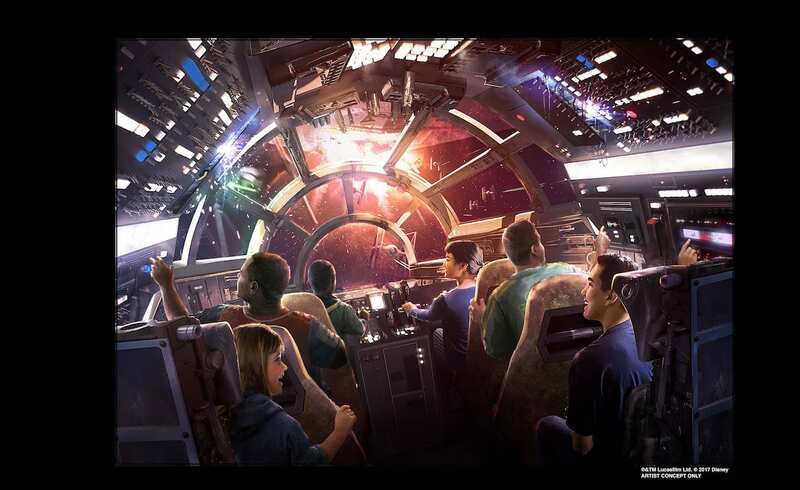 The second attraction will give guests the opportunity to fly the Millennium Falcon, piloting the ship, shooting blasters or preparing for hyperspace – all while completing a critical mission. But how you perform on the mission holds even bigger stakes: perform with skill and you may earn extra galactic credits, while bringing the ship back banged up could put you on the list of a bounty hunter. End up on Harkos’s list and you may face a problem if you show up at the local cantina! 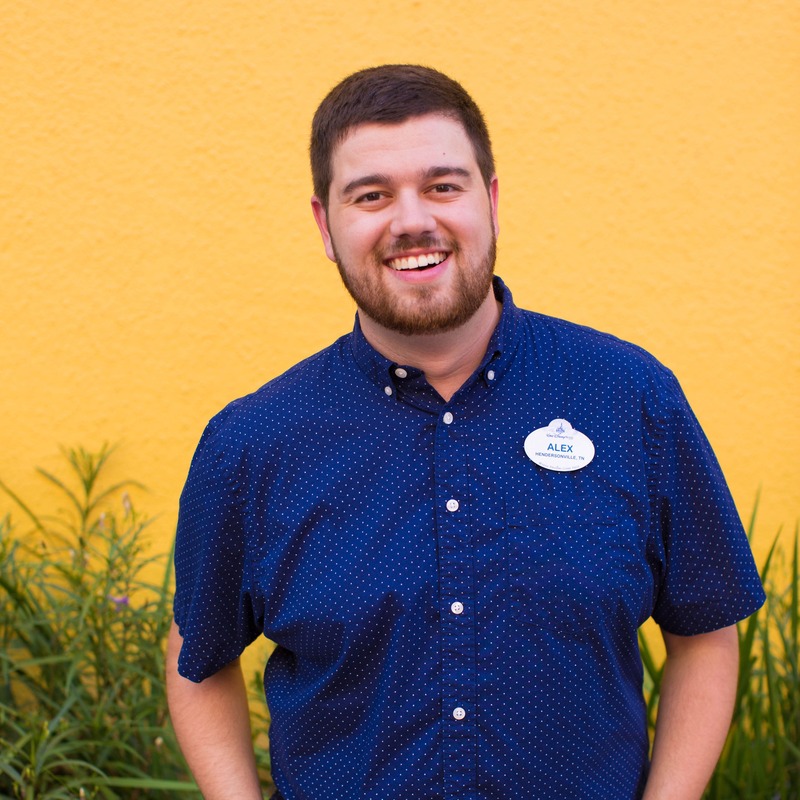 Guests will also encounter many familiar faces inside Star Wars: Galaxy’s Edge, including BB-8, Chewbacca, members of the First Order and – among many others – Rex, the troublesome pilot you may remember from the previous version of a certain Disney attraction who takes on a new role in this land as the DJ at the cantina. And speaking of the cantina, here guests will be able to try unique concoctions like blue milk. Nearby, they’ll also be able to acquire trinkets and treasures from across the galaxy. Star Wars: Galaxy’s Edge??? This name is too long. If you don’t make it short and simple, people are going to simply call it Star Wars Land. How do you find out actual opening dates so that you can book? And originally, it looked like the Star Wars themed hotel would not be opening the same time as the resort. Has that changed? Will it open when the resort opens? How can I be sure of opening date when securing reservations? my family are all HUGE star wars fans! we can’t wait to take our first official all inclusive disney trip in 2019 for star wars! we are hoping to make it for opening day! Even have a special disney Star Wars savings account already started JUST for the trip! we’ve never done only disney it’s always been a trip to florida and a day or two at disney! we’re planning the full works, star wars hotel, dining pass and everything else!!! so excited! I’m so excited. Family Vacation 2019! Is there any info on a Star Wars themed Hotel? Thank you for the updates. They are great!! can’t wait till 2019. You don’t even want to know how excited I am about this! I’m thinking the Falcon ride might be similar to Mission Space without the spinning. Everyone has a part in the flight. I’m pretty sure you don’t want me to man the guns, tho. I can’t wait for these things to happen! I imagine the Millenium Falcon ride being a combination of sorts between the Star Wars Trilogy Arcade game from the 1990s and the awesome interactive “game” rides on property like Toy Story Midway Mania and Buzz Lightyear Space Ranger Spin! Stay tuned! We can’t wait to share more on this amazing land. The Force is strong with this blog update! I can’t wait for 2019!